Home / Modern Pest Blog / Swarmer Ants: What are they? 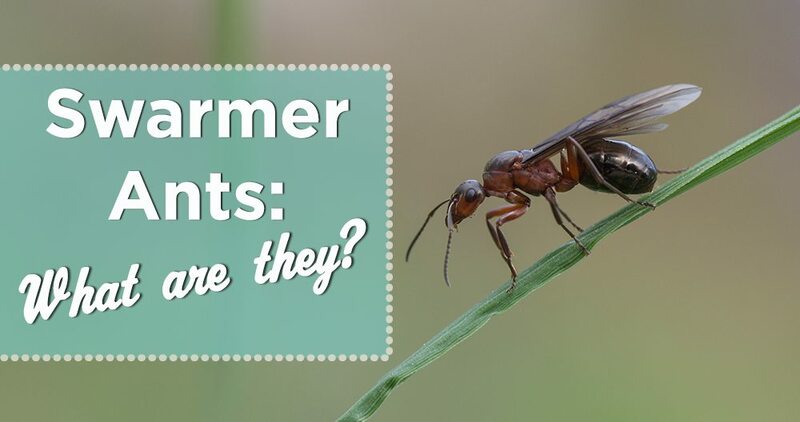 Swarmer Ants: What are they? Ants teeming on the ground is a pretty common sight during the spring and summer months, as are a large variety of buzzing flying insects. What you may not see all that often are “flying ants.” Flying ants might seem a little creepy or even startling to come across buzzing through the air. So let’s demystify these unique critters. Flying ants, also know as Swarmer ants are simply sexually mature ants nurtured within the colony, to take center stage, once the colony is ready to grow. When the time and conditions are just right, typically in late spring, these sexual mature ants will take flight looking to reproduce, often in large groups, or swarms. Swarming is their natural defense mechanism to protect themselves from predators. Soon after mating the males will die, while the females will go in search of a new nest site. The species of the ant will determine nesting site preferences. For instance, carpenter ants prefer to live in decaying wood. The new queen will get to work laying eggs for her new colony and break off her wings that are no longer needed. 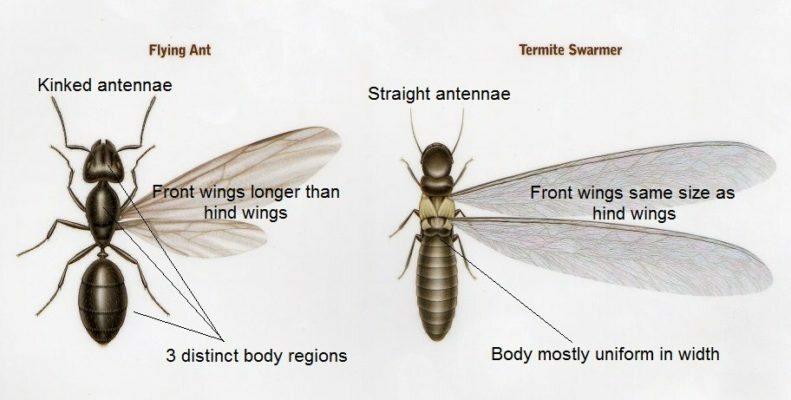 So how can you be sure you that these winged insects are not instead termites? We can give you some tips on identifying the difference. First off, termites will have a straight waist, straight antennae and their wings are equal in size. Flying ants, on the other hand, will have a pinched waist in the middle, with bent antennae and two sets of wings. The top set is larger than the lower set. However, if you want to be sure, we recommend you contact a pest management professional to perform an inspection and determine what exactly you are dealing with. Typically, with flying ants, the answer is no. Because the ants are swarming to mate and create new colonies, they will eventually do their thing and disperse in search of their new home. However, if you see swarmers heading into your home or several already inside your home, then you have reason to be concerned. This could mean you have a colony already established inside your home or nearby looking to set themselves up in your home. If the swarmers are carpenter ants or termites the concern is that they will or have excavated tunnels inside the timbers of your home, creating damage and compromising the safety of the structure of your home. If you suspect you have swarmers in your home, call a pest management professional right away! A Modern Pest professional can do an inspection and determine the level of infestation, areas of damage, and create a very specific, environmentally friendly and effective program for your home. Contact a Modern Pest professional today for a FREE quote or to schedule a service today!